Pandemonium broke out recently in the Malete, Moro local council area of Kwara State as suspected ritualists reportedly abducted no fewer than 13 persons. The incident which happened on Thursday affected a student of Kwara State University. 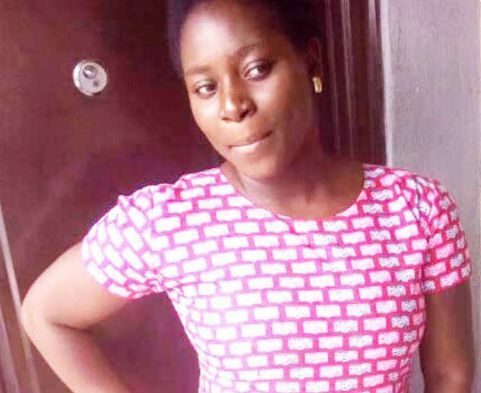 Narrating her experience, one of the abducted persons that later regained her freedom, a 200 level student of the department of Mass Communication, Dorcas Oluwatimilehin Olanrewaju, said she was abducted in a taxi on her way to the campus in Malete. She said: “While in the taxi I boarded, a woman in the vehicle complained of feeling cold, so the glass windows were closed up. I lost consciousness since. I later found myself among some people in the night. We were about 13 in the place as at Thursday night but the ritualists have taken six victims away. “They told us that they are heading to Ekiti State. I was kept inside the booth of the vehicle. When we got to Offa, they asked of my origin and I told them that I am from Omu Aran. So, when they wanted to take water for the faulty radiator of the vehicle at Omu Aran, I was dropped and set free, unknown to them, in front of my father’s house,” she said. Dorcas is the daughter of the chairman, Correspondents’ Chapel of the Nigeria Union of Journalists (NUJ) in Kwara State and State Correspondent of The Sun newspaper, Layi Olanrewaju. She reportedly left her off-campus residence to write an examination in school but rather than take her to the campus, the driver of the campus shuttle vehicle drove her to an unknown destination. Feeling unsafe in the circumstances she found herself, she allegedly sent a text message to one of her friends informing her that she had been taken away by some unidentified persons suspected to be ritualists. She was later dumped in Omu Aran, Irepodun local government area of the state on Friday morning but she could not explain the whereabouts of the other victims. In his reaction, Director, University Relations, Dr. Isiaka Aliagan, claimed that only a female student was reportedly abducted by unknown persons. He said security has been beefed up on Malete route, around the campus and environ to keep criminals at bay, adding that armed police patrol has also been deployed to the route and regular checking of vehicles intensified since yesterday. Aliagan said: “The university learnt that she sent a distress call through her mobile phone indicating that she could not identify the location at which she had been drop. Immediately they were alerted, officials of KWASU Safety unit swung into action by contacting the security operatives and telecommunication agencies to track the phone. “KWASU management would like to stress that all efforts were made to secure the lives of its students staying on both campus and off-campus hostels, while all commercial transport operators were duly registered with the university to ensure proper monitoring of their activities. “At the moment, the identity of the vehicle involved in the kidnap incident or its driver is unknown. We believe the security operatives are up to task and will work round the clock to track the perpetrator(s) of the crime. Management will give maximum support and cooperation to the police to track the kidnapper(s) and ensure justice,” said Aliagan. Reacting to the incident, the state police command’s spokesperson, Ajayi Okasanmi, said that the command has commenced investigation on the matter, adding that the report had been circulated to police formations within and outside the state towards possible arrest of the culprits.